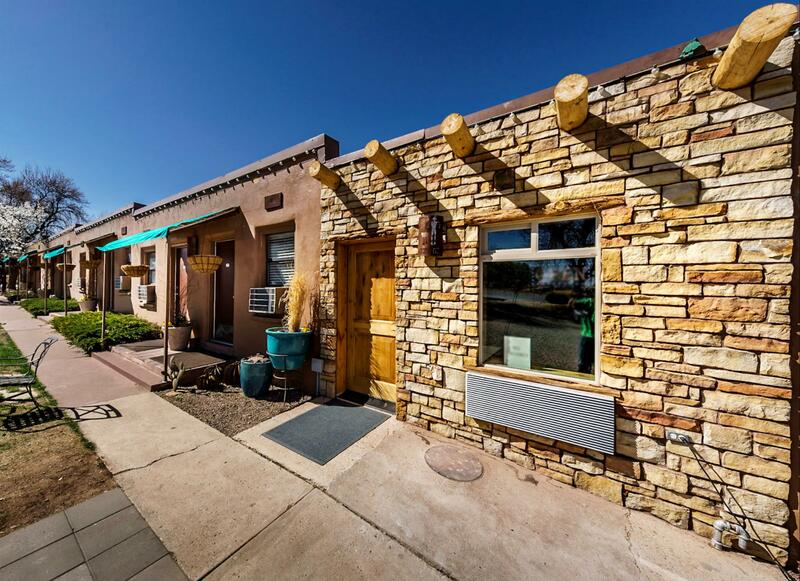 As San Juan County natives, we have been restoring, little by little, the first motel built in Blanding in early 1947. Because of the influence of the local geology, history, and culture, we have a wealth of resources available to us in helping create our vision of a comfortable, cozy lodging facility. We feature local photographers, focusing on canyons, Anasazi Ruins, and Petroglyphs from our beautiful area. Our son, Adam, has used his artistic talent to create all our metal artwork. We offer a variety of layouts, including a kitchenette, and suites with kitchens to accommodate different needs. All of our rooms are non-smoking, have free high-speed wireless internet and satellite DirecTv. We have a very limited number of dog-friendly rooms (we only accept dogs). Please be sure to call for requirements and availability before booking. We serve a complimentary homemade continental breakfast to enjoy in our landscaped private gardens or breakfast room. Discover the beautiful Blue Mountain Utah Region. Take a panoramic hike through canyons and monumental natural land formations. Experience the history of the native culture through the beautiful hieroglyphs and ancient ruins. Enjoy the panoramic natural beauty of famous monumental sites you have only seen in pictures. Explore where history meets the present in the ancient dwellings of the Native Americans. If you like what you see, stay a night...or two...or more! Craig will be glad to direct you to some amazing sites to visit.